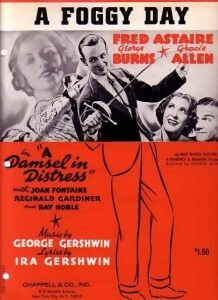 A Foggy Day was introduced by Fred Astaire in the 1937 movie A Damsel in Distress. 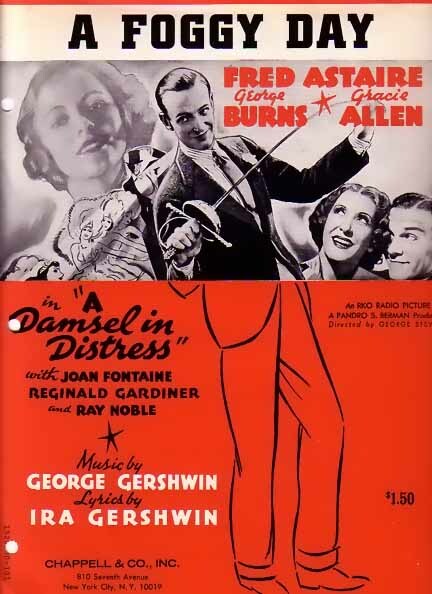 The song has been quite popular with many great recordings, including those by Ella Fitzgerald, Judy Garland, Frank Sinatra, and Billie Holiday. and it had me down. “A Foggy Day” was recorded on March 15, 1962 for On The Glory Road, which was to be released in 1962, but was canceled. The song was arranged by Ralph Sharon. “A Foggy Day” was recorded in June 1992 and was released that year on Perfectly Frank. It was arranged by Ralph Sharon. “A Foggy Day” was recorded and televised live on April 12, 1994 on MTV. The MTV Unplugged album was released in June of that year. The songs from the televised concert were arranged by Tony Bennett and the Ralph Sharon Trio.